For the 17th year, the Sumathi Tele Awards, this time christened as the Lux Sumathi Awards, unfurled at the BMICH on Sunday. Gifted actor Jagath Chamila and the charming Samadhi Lakmini bageed the awards for Best Actor and Best Actress for Swayanjatha and Kadadora. Best Tele director Award went to Sudath Rohana for Swayanjatha while Sunil Costa and Sarath Dharmasiri too were appreciated for their directorial talents for Pinsara Dosthara and Ath Kanda Lihini. 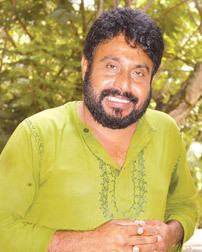 Anada Abeynayake's Sankranthi Samaya won the Best Single Episode Tele Drama Award. 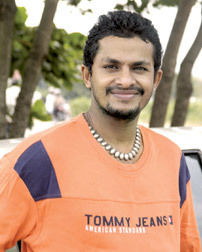 The Best Tele Drama Supporting Actor was Athula Pathirana for Swayanjatha while Chathurika Pieris walked away with the award for Best Tele Drama Supporting Actress. The Best Up Coming Actor and Actress were Malinda Perera and Dinakshi Priyasad. The Most Popular actor and Actress Awards went to Dhananjaya Siriwardena and Nadeesha Hemamali. The Most Popular Teledrama was Sihina Piyapath. The highlight of the awards ceremony, the U W Sumathipala Memorial Award, was handed over to Siril Wickramage and Victor Ratnayake.